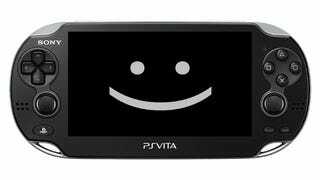 Overseas, the PS Vita continues to struggle, but in Japan, things are looking better for Sony's handheld. Things have not been easy for the little portable console ever since its launch over 3 years ago. One of the biggest complaints early on after the Vita's release was the lackluster library of games. However, since then, things have picked up somewhat. While it has yet to release a million-selling game in Japan, the selection has become robust enough that I no longer feel embarrassed for it when I walk through the Vita section of my local game store. Not only that, but looking at the schedule of upcoming game releases, the number of games coming out for each console shows a rather stark contrast. Yes, while the Vita does have the most games coming out, that doesn't mean that it's going to rake in the most in terms of game sales – Nintendo has proven time and time again that it continues to reign in that area. Still, more games does indicate more developer confidence in the system, which can hopefully lead to more killer games on the system down the line. The PS Vita is still trudging uphill outside of Japan, especially considering the difference in handheld console popularity between cultures. Even so, it's nice to see that it's got a relatively secure foothold on its home ground and that its library is expanding.